Radomir Antic started his management career with Partizan Belgrade (1985-88) and continued with Spanish clubs Real Zaragoza (1988-1991), Real Madrid (1991-1992) and Real Oviedo. His most successful period to date was with Atlético Madrid (1995-98). He won the League and Copa double in a 1995-96 season full of good football. He later returned to both Atlético Madrid (1999 and 2000) and to Real Oviedo (2000-2001). 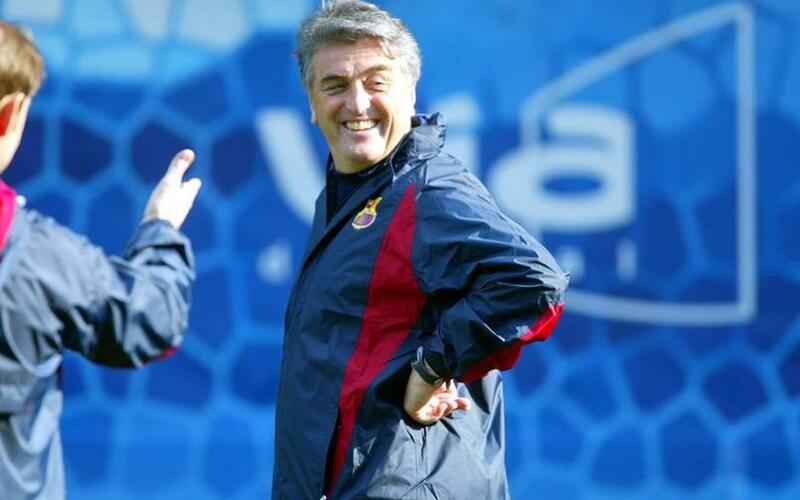 On 2 February, 2003 Antic took over at FC Barcelona with the team in 15th place in the table but well placed in the second phase of the Champions League. In his time as first team coach, Antic lead the team in 24 official matches, 12 of which ended in victory, 8 were draws and 4 were defeats. In his short stay in charge, he managed to guide the team to UEFA Cup qualification by finishing sixth in the league. In the Champions League his team were knocked out by Juventus in extra time at Camp Nou in rather unlucky circumstances. With the arrival of a new Board of Directors under president Joan Laporta, Antic’s tenure as coach ended on 23 June 2003. Like many other coaches, Radomir Antic was a player before he took up management. He started his playing career with Sloboda Tyzla of Yugoslavia (1967-1968) and then moved to the club where he would play most seasons, Partizan Belgrade (1968-1976). As coincidence would have it, Barça basketball coach Svetislav Pesic was playing in the Partizan basketball team at the same time. In the 1976 season he signed for Turkish club Fenerbahce (1976-1977) before moving to the Spanish League where he played for Zaragoza (1977-1979). He later moved on to Luton Town in England where he played for 5 seasons (1979-1984).